Pick me please – “liked your FB page as well, too. I’ll give it another try! love target and love your site!!! 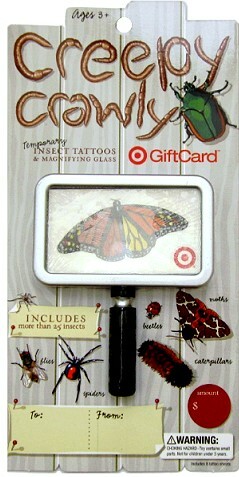 I liked Totally Target on FB! Would be so nice to win. I would be so happy to win! My biology lab teacher is about to retire I think this would be a cute gift. I hope I win. I’d still like to know where I can purchase a wow card exactly like this one please post. I like totally target and have for a while ! Totally Target is an awesome site! Thanks for everything! And with $50 on it the card is even coolie! Would love a break for my card. Target gift cards are the coolest! I already like you on Facebook!!! I would so love to win this one!!! and I like you/love you! love your blog, thanks for all you do! Wahoo! I love this giveaway. Hope I win! Oh, and I like TT on FB! Yippee! I like you on Facebook ALWAYS!!!! OMG, would love to win this! My daughter is such a tomboy and loves bugs. This is my FAVORITE site!!! !